Canine crime fighter Chet and P.I. Bernie Little journey to Washington, D.C,. 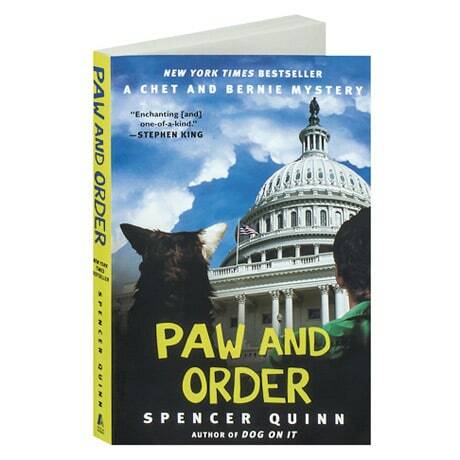 to see Bernie's journalist girlfriend, Suzie Sanchez, who's working on a confidential story, in this seventh book in the New York Times bestselling mystery series, following A Fistful of Collars and The Sound and the Furry. When Suzie's source is silenced, it is Bernie who lands in jail, while Chet investigates a local lead. Soon enough, the trio is up against an international espionage conspiracy, in the form of a bird with blinking red eyes and Barnum, a sinister guinea pig with the fate of the nation in his tiny paws.